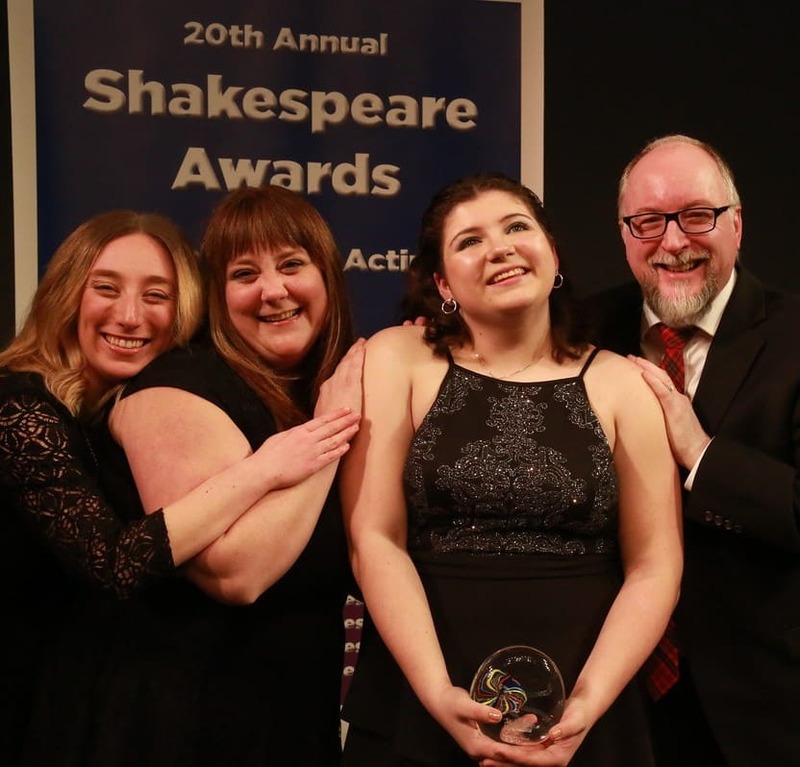 On January 12, 2019 MacGuffin held its 20th Annual Shakespeare Awards for Execellence in Acting and Leadership. The ceremony was held at Penn Charter School in Philadelphia. There were 17 awards in 15 categories. Nominations were announced in December 2018. It was a dress up affair catered by Miles Table. Awards were hand made by Taylor-Backes Glass Blowers in Boyertown, PA. Awards were presented by alumni, board members and staff. Special service awards were presented to David Horwitz and Judy Leone for their many years of board service. Check out the award winners HERE. 2018 MacGuffin Awards winners with Staff. MacGuffin’s most prestigious award, The MacGuffin Award for Lifetime Achievement was presented to Molly McQuoid. 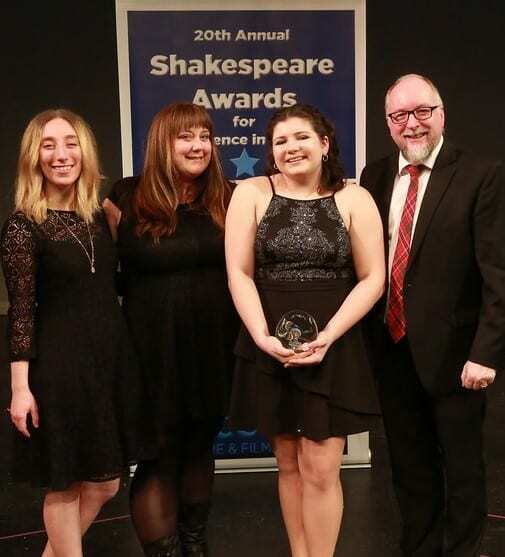 In addition to the awards we also had a Senior Salute for our graduating actors, a 2018 Year in Review and a video featuring the work of Molly McQuoid. See the videos below. In celebration of our 20 years as a non-profit in Philadelphia we also performed a medley of all of John Rea’s musicals over the years. Over 40 MacGuffin actors past and present took part.